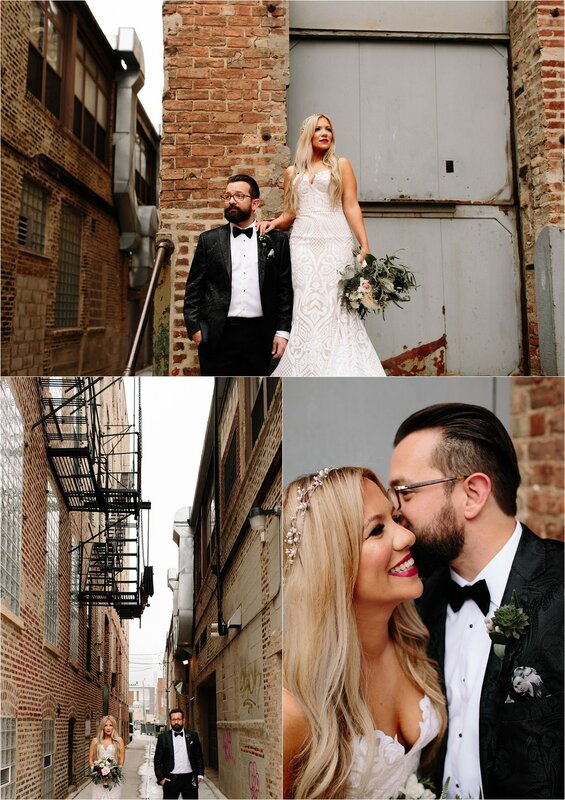 Erika Mattingly Photography, Chicago wedding and lifestyle photographer. 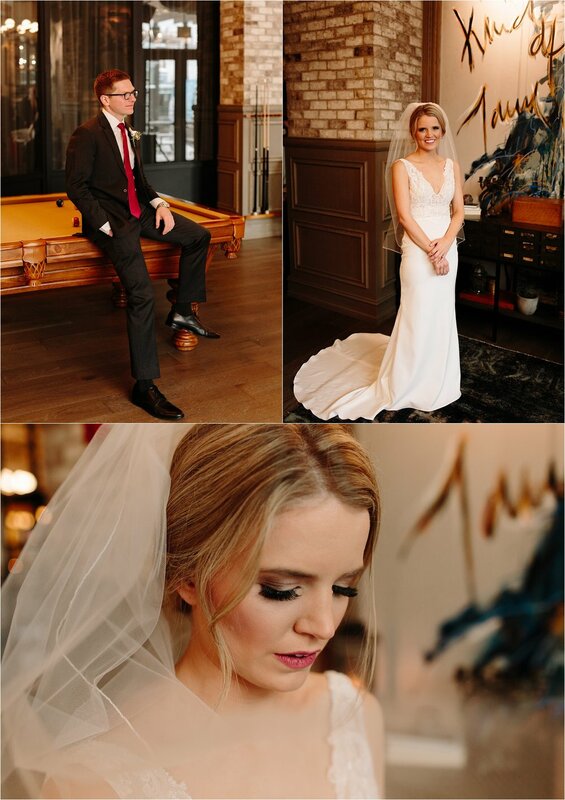 In the midst of our Chicago winter, I had the pleasure of capturing Claire and Scott’s incredible wedding day at Ravenswood Event Center. 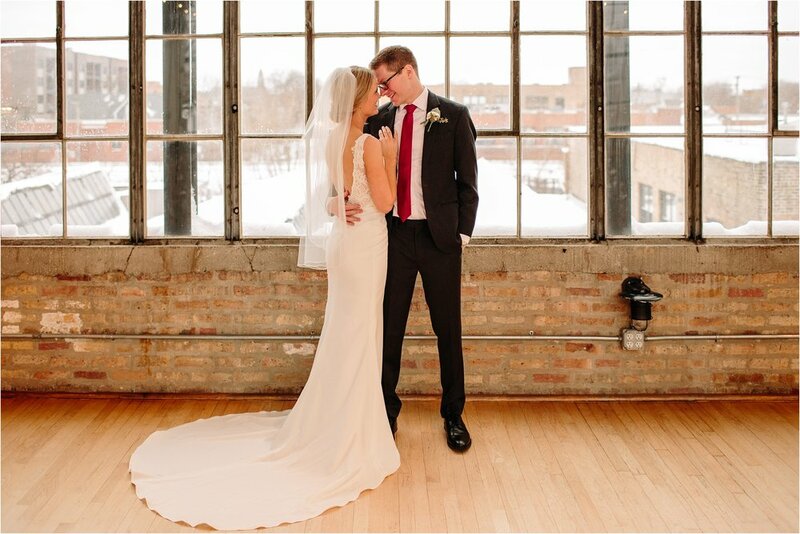 And, in true Chicago winter fashion, their was practically a full on snow storm on their wedding day! 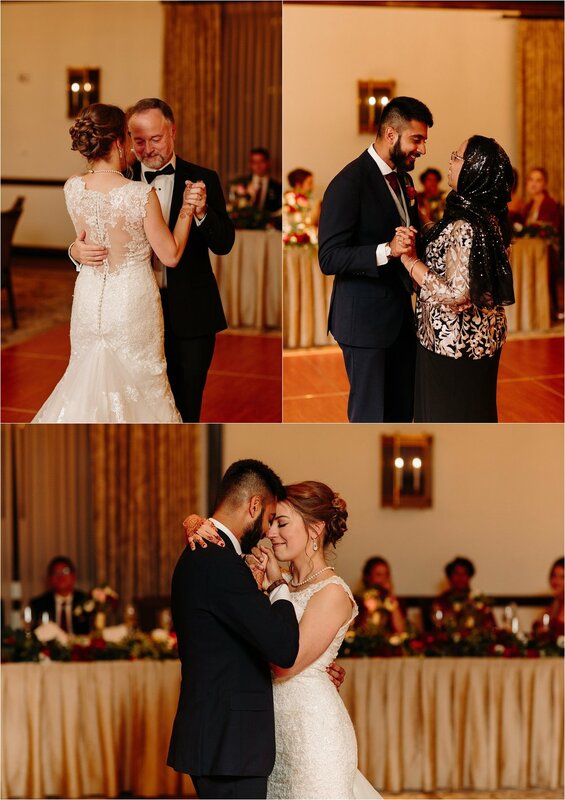 BUT despite all that, there was still so much warmth, love and joy felt throughout their day. 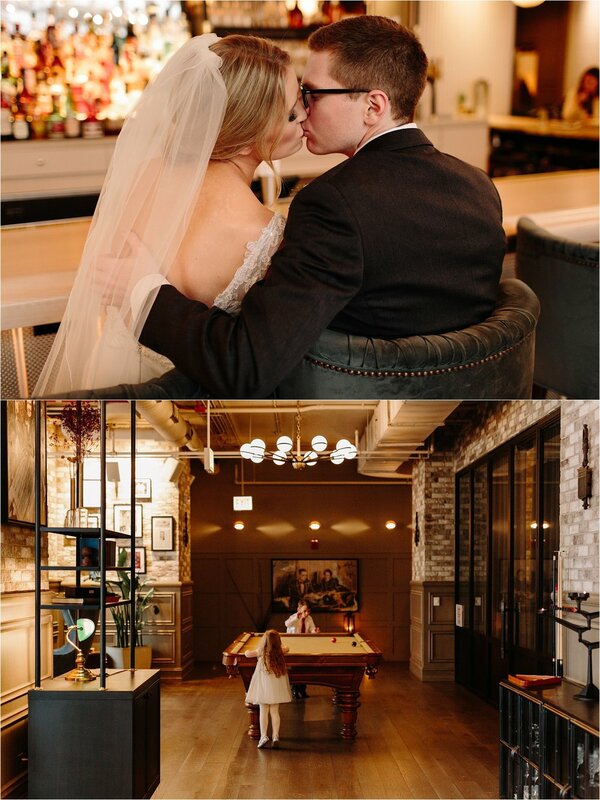 Claire and Scott started the day getting ready at the new Hotel Zachary across the street from Wrigley Field. 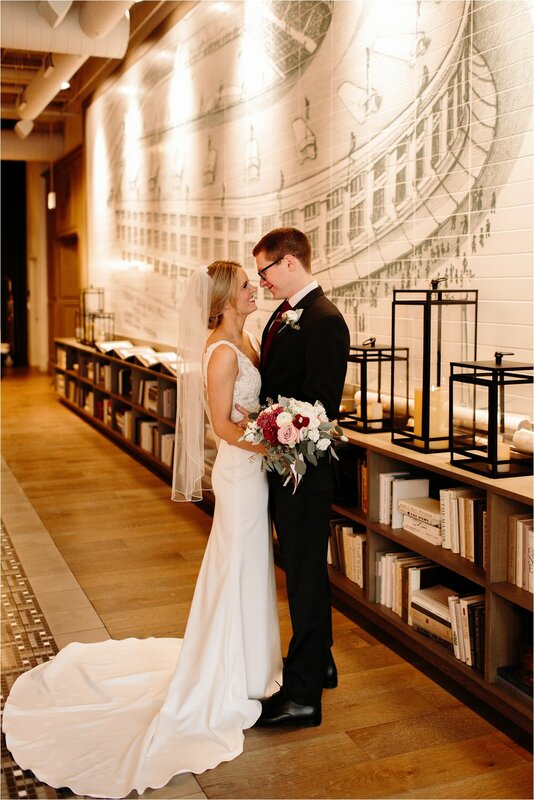 The hotel’s lobby provided a perfect space for photos. 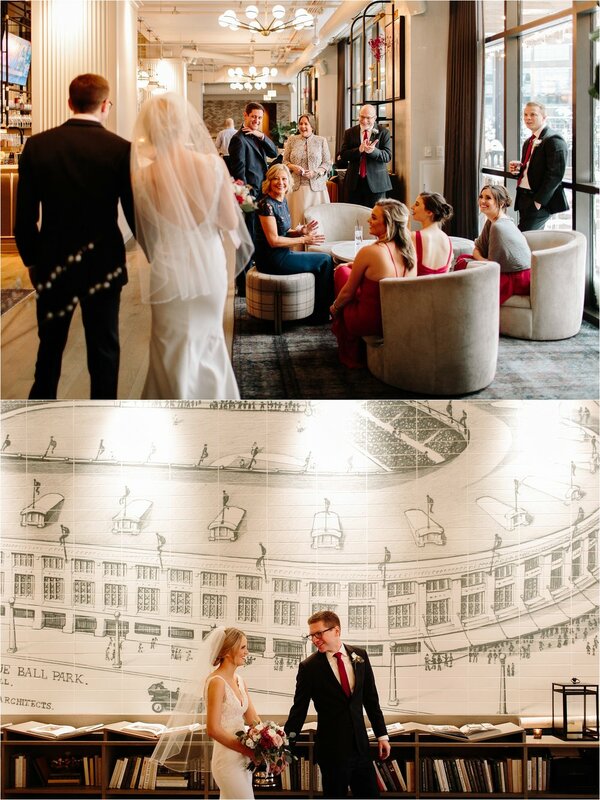 Seriously - the design of this lobby is absolutely gorgeous! 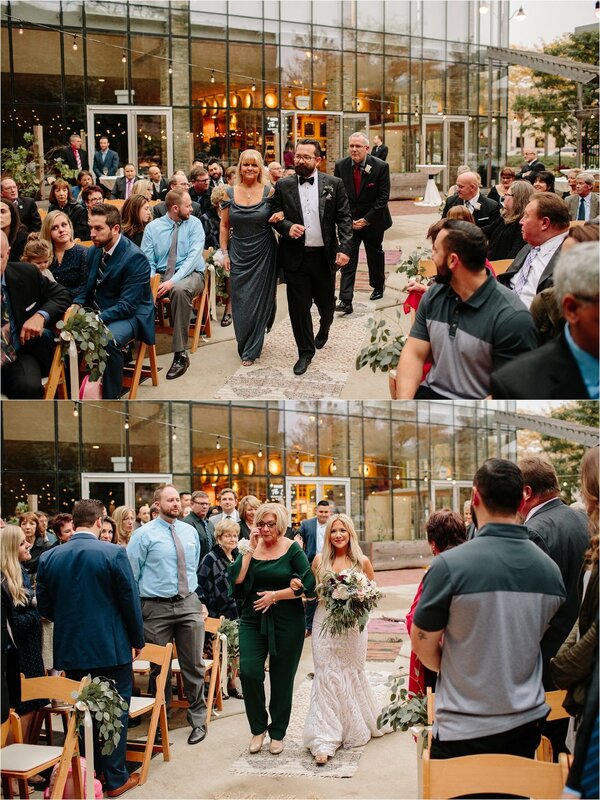 We then headed to Ravenswood Event Center for their intimate ceremony, followed by their laughter and dance filled reception… Just wait until you see some of these dance photos! 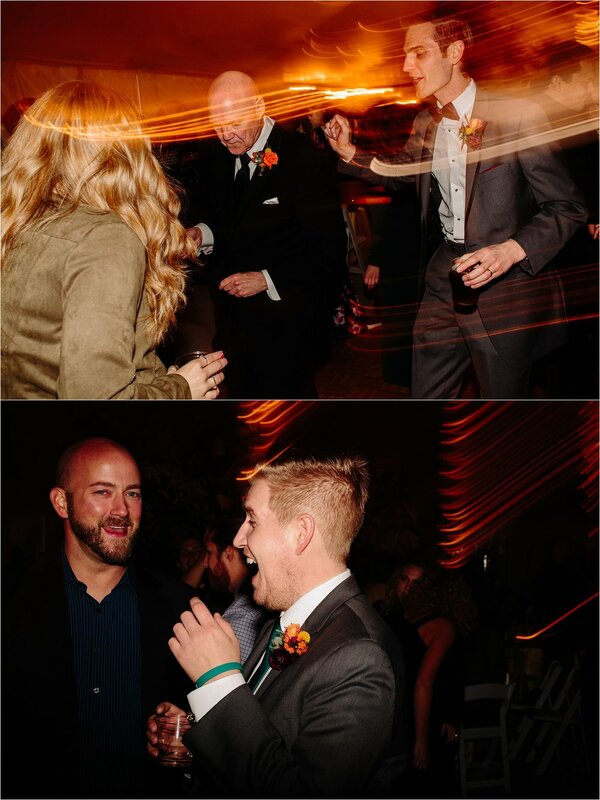 I think they will help convey how much of a celebration the union of Claire and Scott was to all. Enjoy! 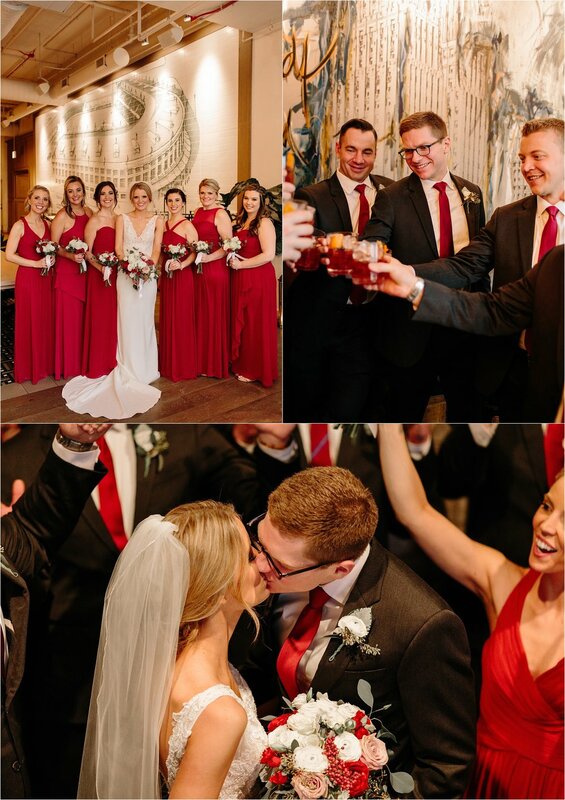 I have said this before about this wedding but as I have been looking back on this wedding weekend to put this blog together, I’ll say it again - This wedding was truly beautiful. 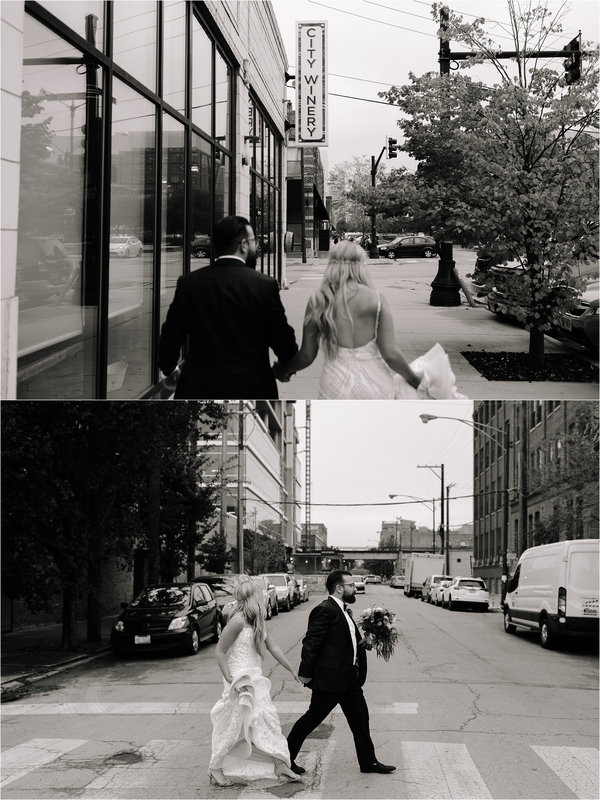 I’m not referring to the details, venue, decor, etc. 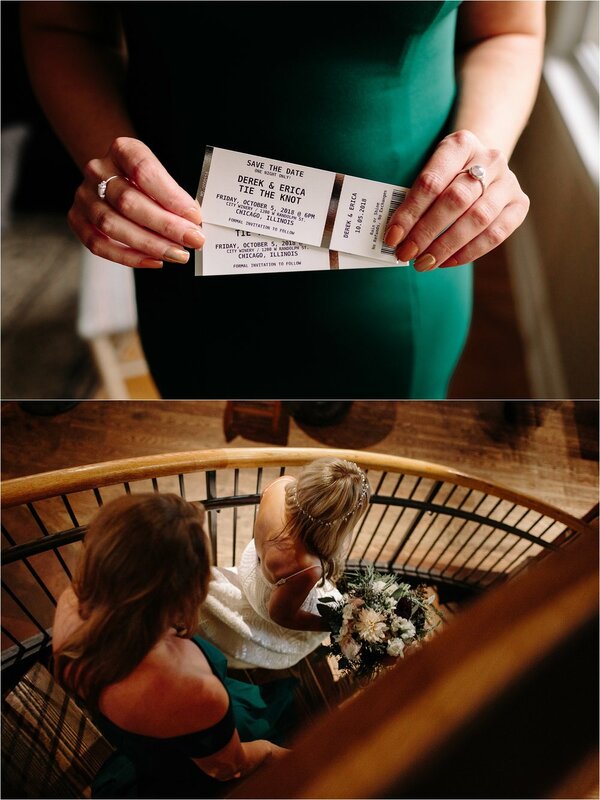 (even those though were gorgeous too). 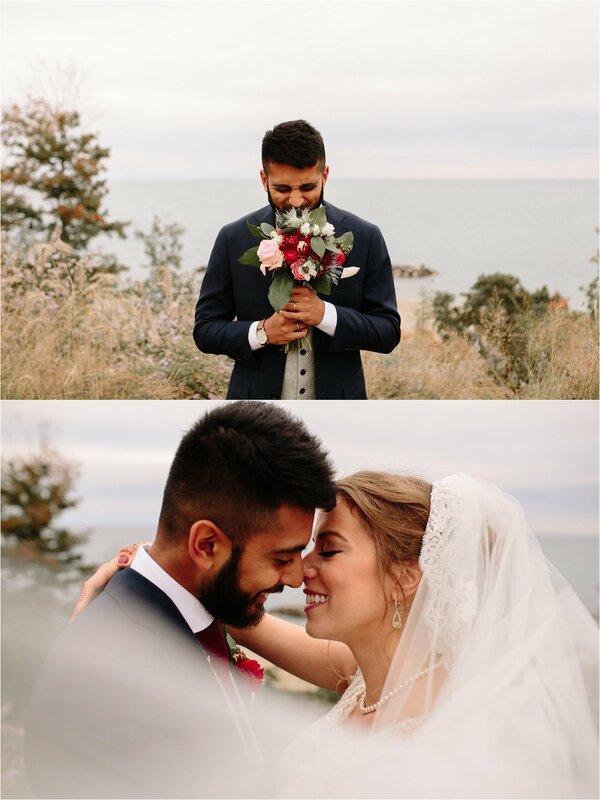 I’m talking about the beauty within this couple, the blending of their cultures and religious backgrounds, and the friends and family that came around them to support them. Witnessing all this come together moved me in such a way I’ve never felt before. 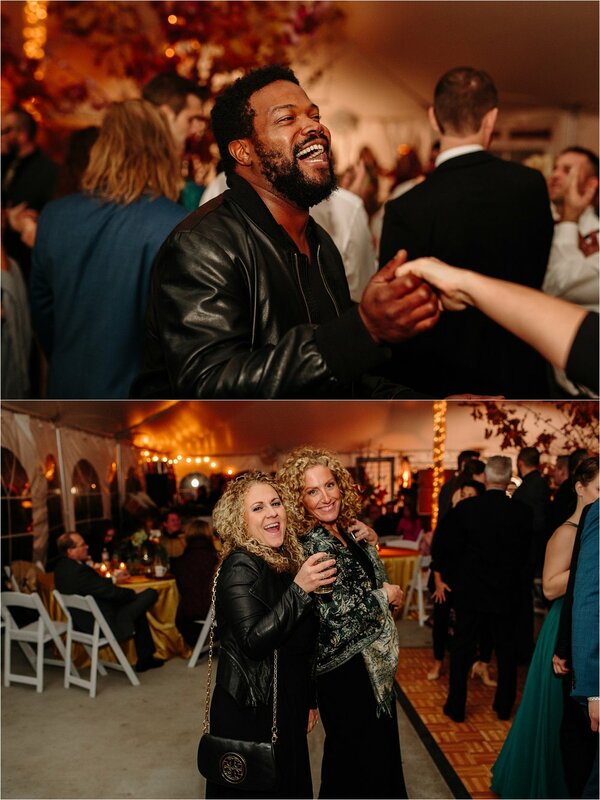 I don’t know how else to simply describe other than to use the word beautiful. 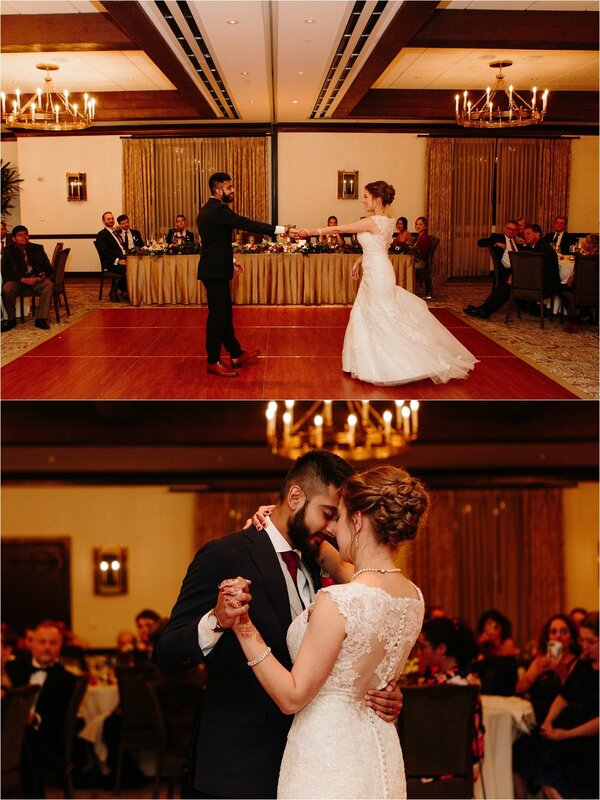 Capturing Katie and Taha’s love for each other was truly such a gift. 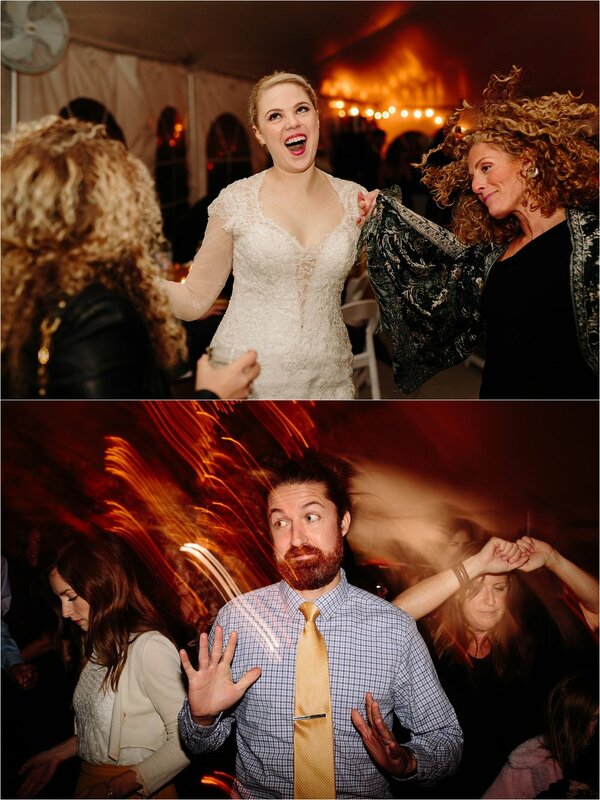 Also… I had one other specific thing I wanted to call out before you dive into this day. 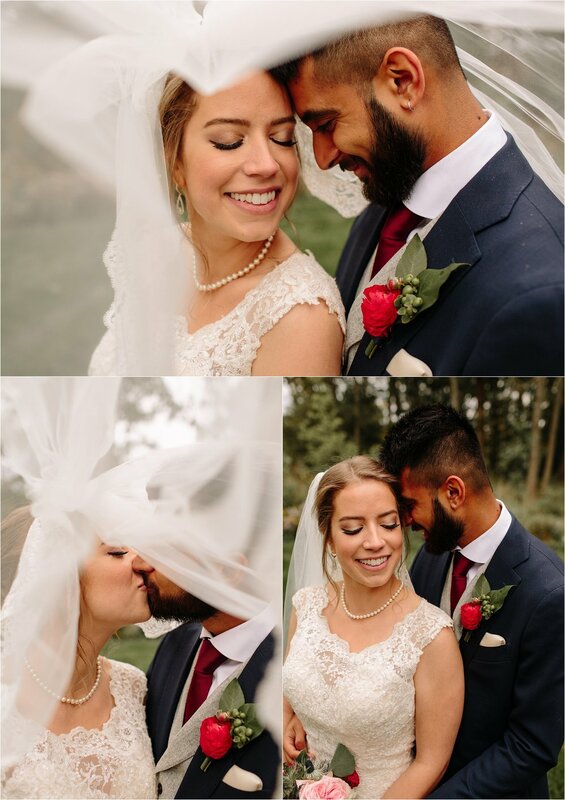 Taha is completely smitten with his bride! 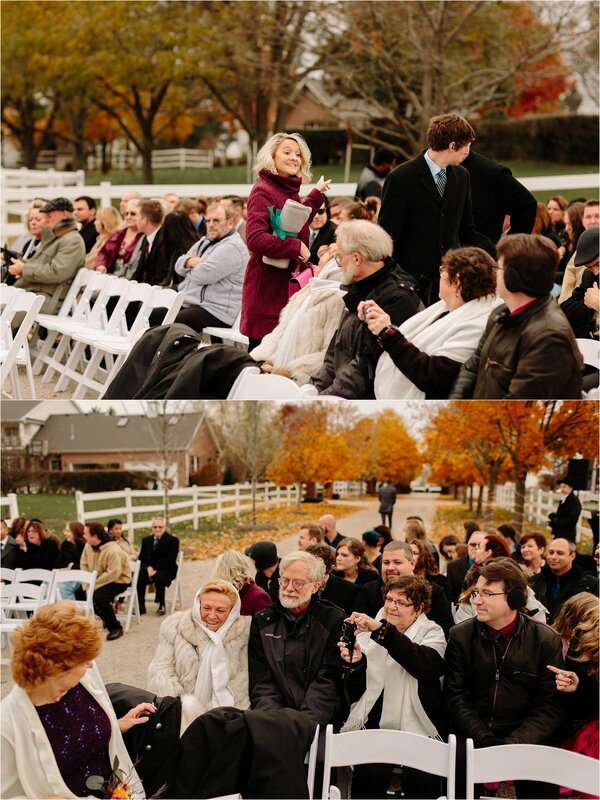 I’m sure you’ll be easily be able to tell as you look through these images. 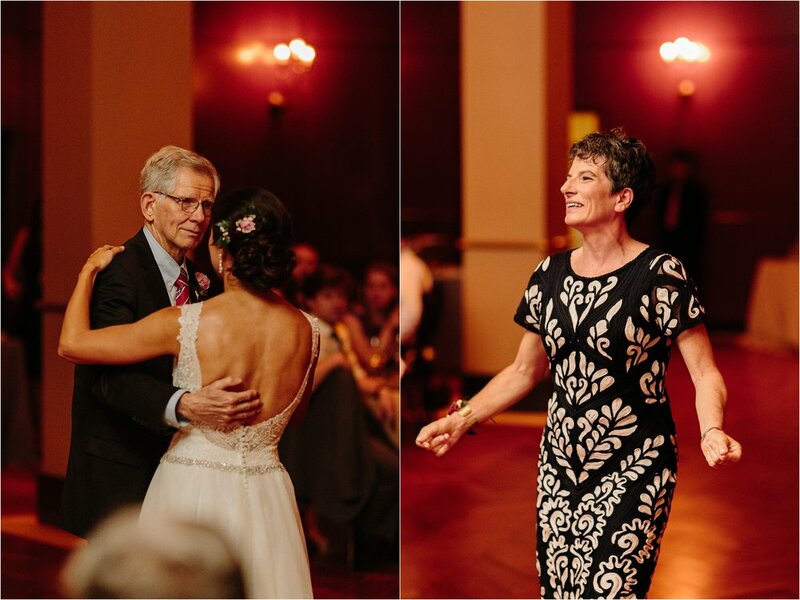 Gosh, I just think it is the sweetest thing when a groom can’t help but swoon over his bride. Go on and see for yourself! 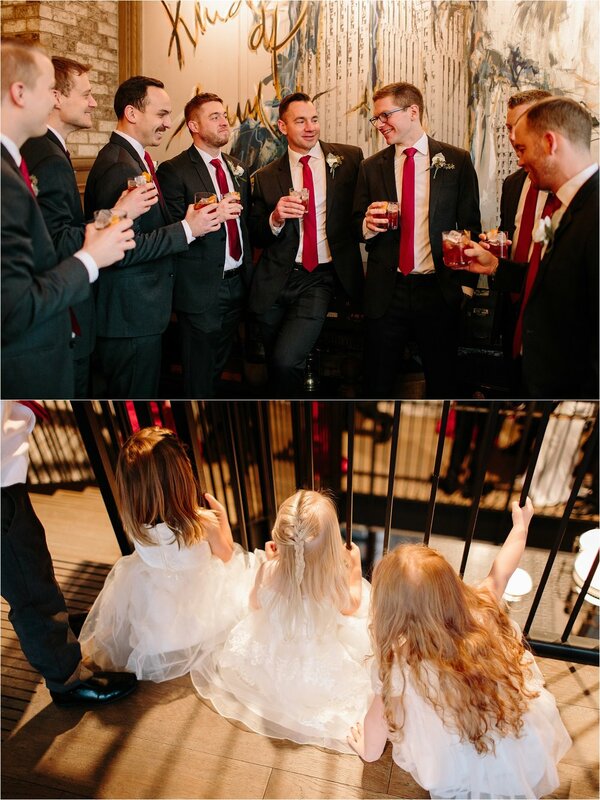 Erica and Derek’s wedding day was put together with the hopes of reflecting their personal style. 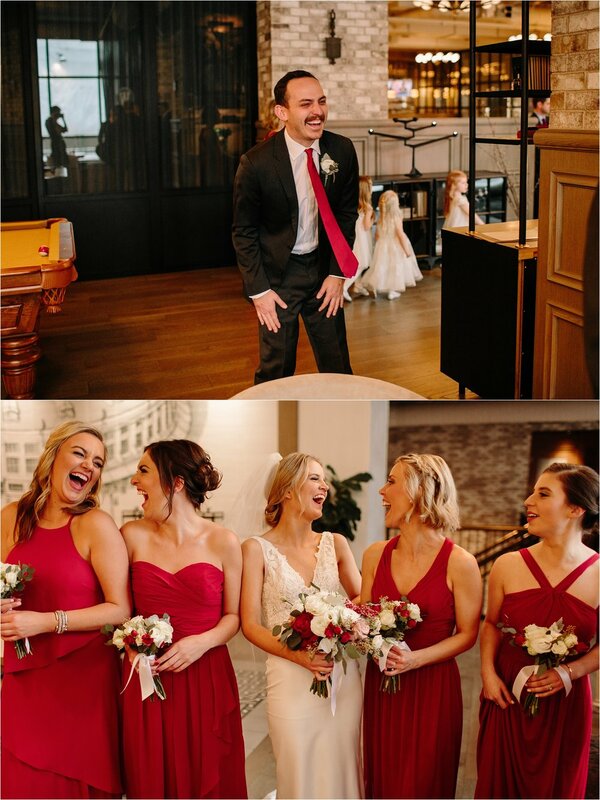 Their wedding was just that. 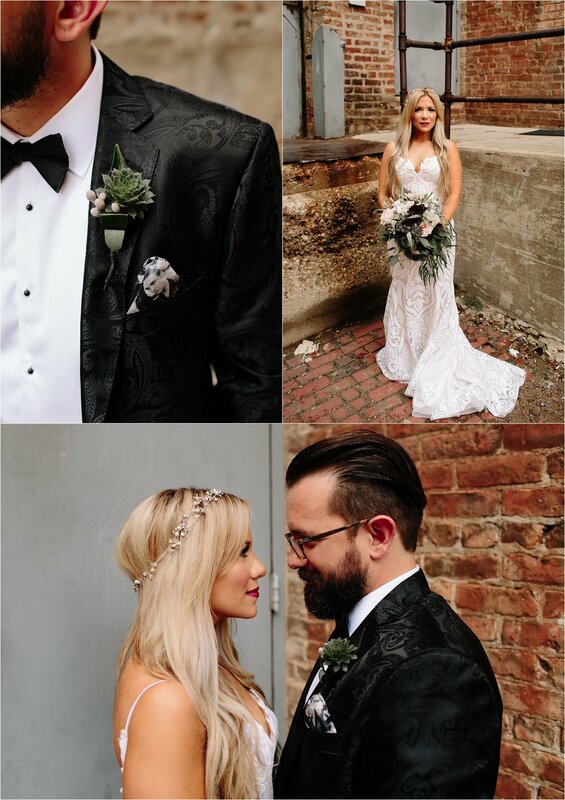 Derek wore a custom made Lanskey Bros jacket that had the same black paisley print jacket that Elvis wore to his wedding, and the inner lining was made up of photographs of Elvis being tailored by Mr. Lansky (who was the clothier to the KING). 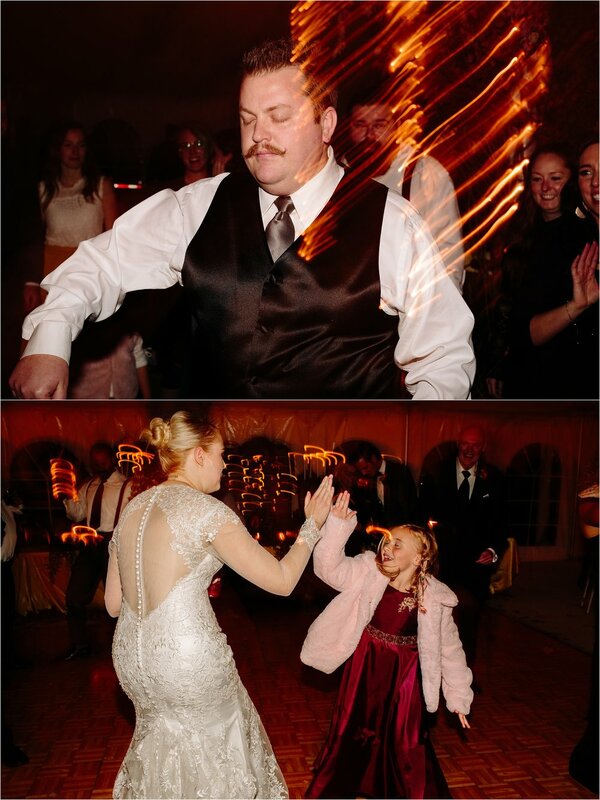 This detail had great significance to Erica and Derek as they are hugeee Elvis fans. 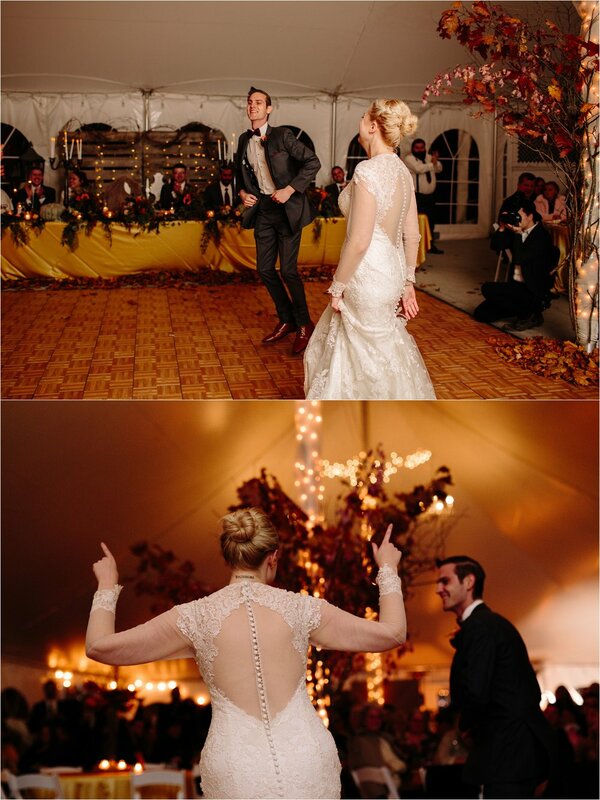 Erica’s Moroccan inspired dress was designed by Hayley Paige and it was the perfect mix of boho and Rock & Roll. 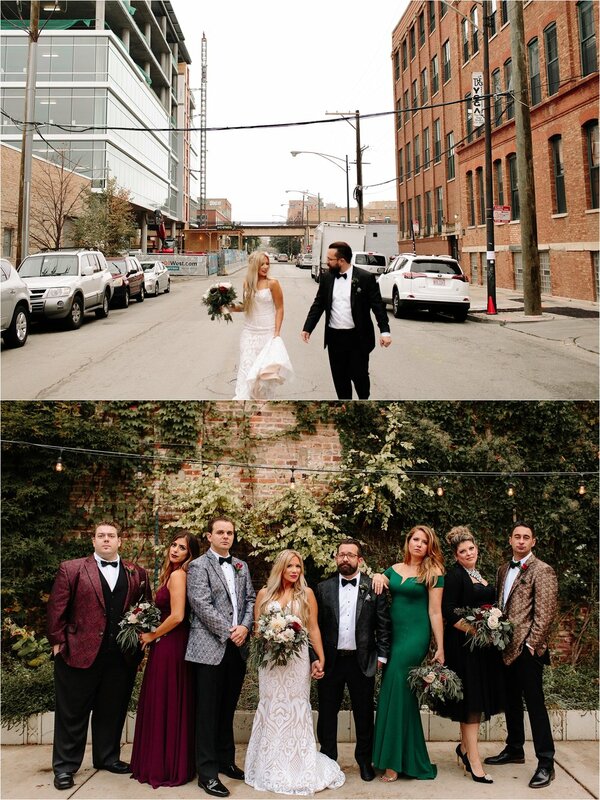 Their ceremony was held in the wine garden of City Winery Chicago. 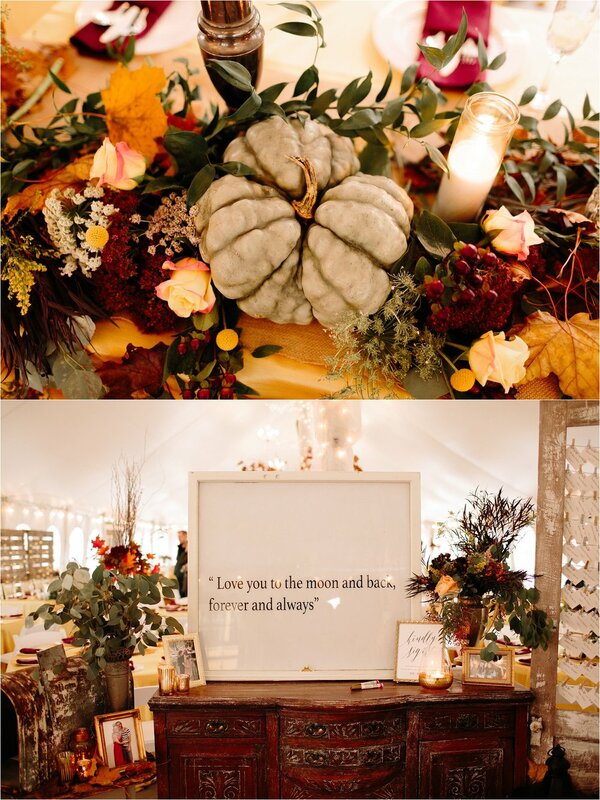 The romantic/bohemian theme was seen throughout the decor. 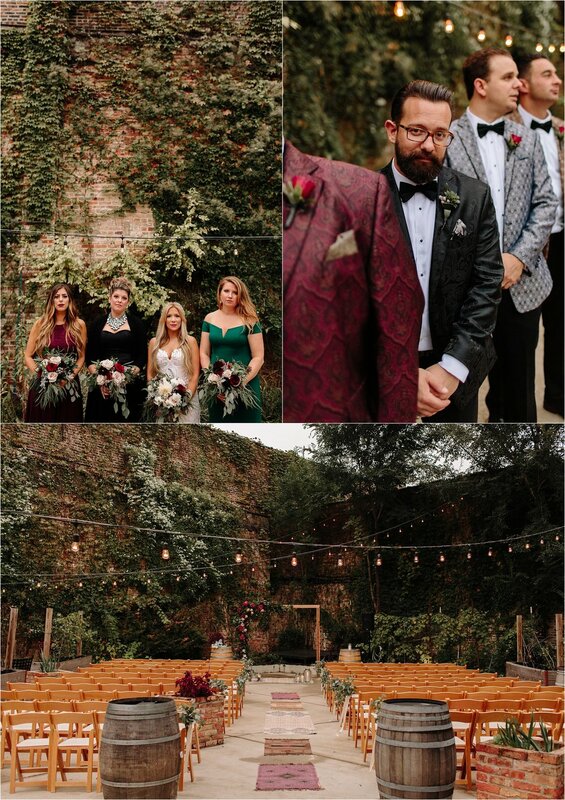 There was tons of greenery, a gorgeous blend of dark-wild burgundy flowers by Flowers by KH, and cafe lights strung overhead. 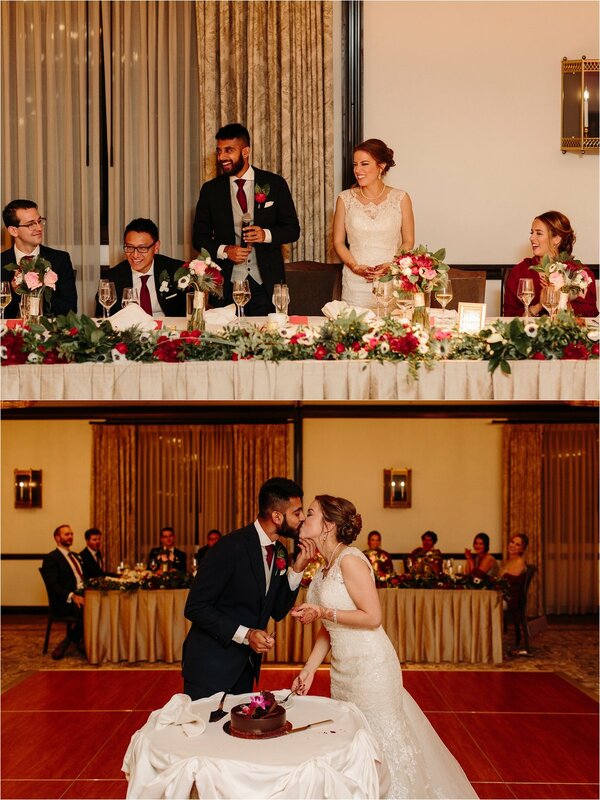 Of course, can’t forget the beautifully made Moroccan rugs down the aisle. 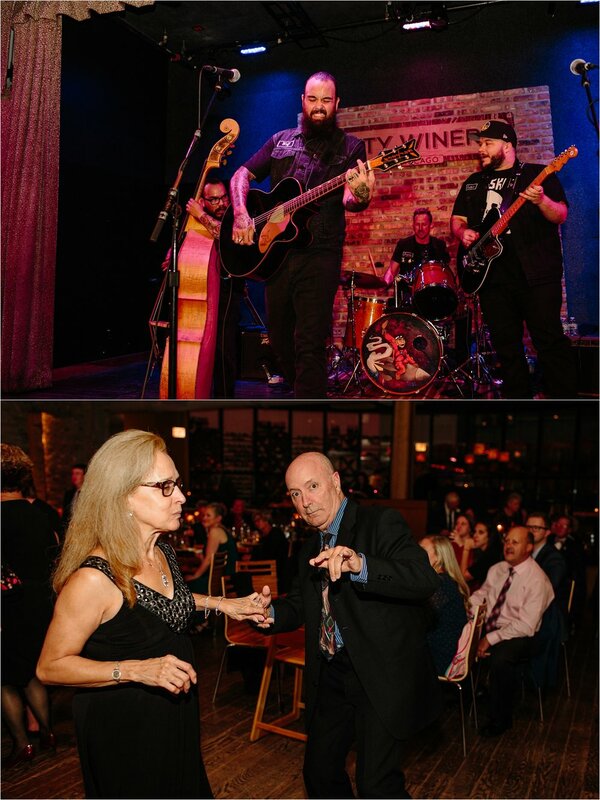 Lastly, this Rock & Roll wedding wouldn’t have been complete without their incredible band, The Delta Bombers. 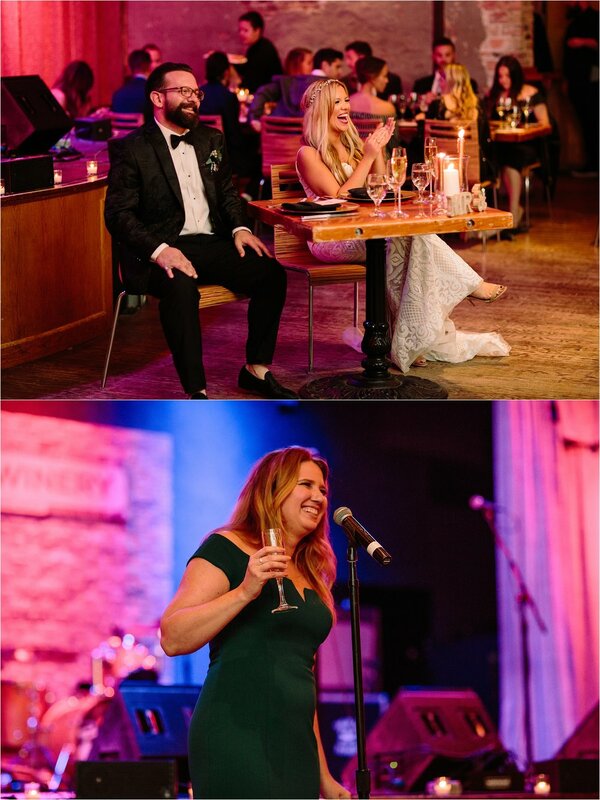 A few years back Erica and Derek saw them play at City Winery and they loved them! 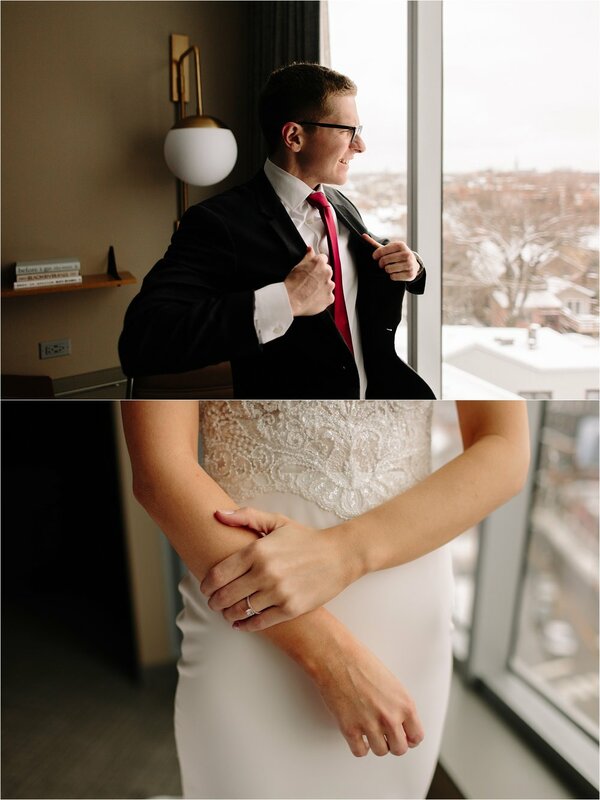 When it came time for their wedding, they couldn’t think of a more perfect fit. 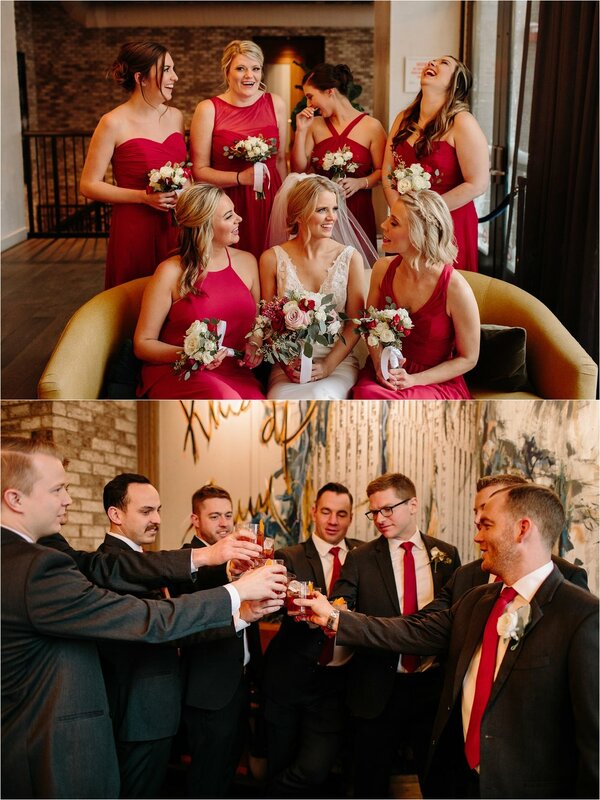 So, the Bombers flew out from Las Vegas and made their wedding day that much more meaningful and helped bring their vision for their wedding day to life. Hey friends!! 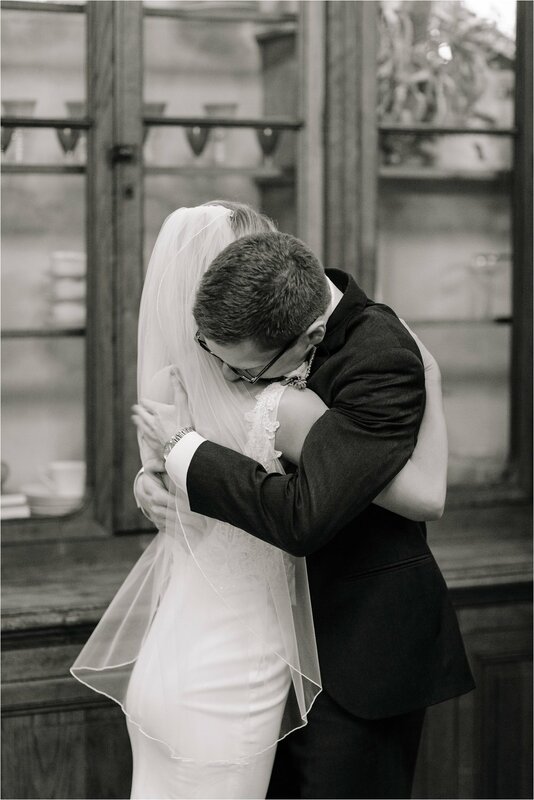 With a full Fall wedding season and raising a now one-year old, I haven’t been able to blog as much as I’d like to. 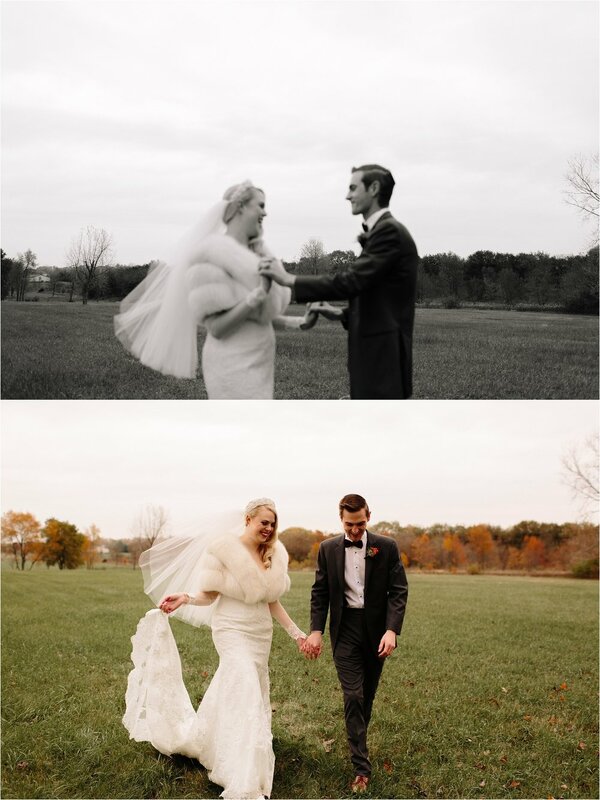 But now I’m all caught up with editing my 2018 weddings and I could NOT be more excited to share Lacey and Tyler’s wedding with you all!! 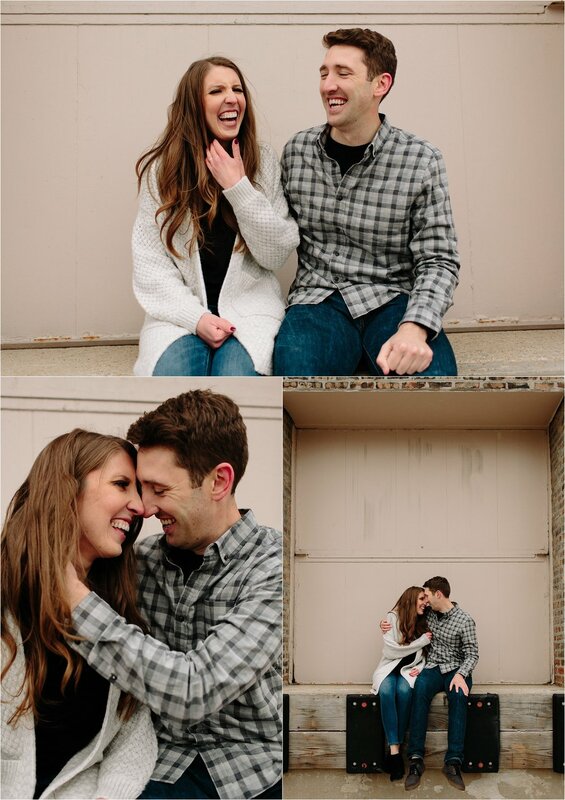 Lacey and Tyler went to the same high school but they didn’t really know each other at the time. 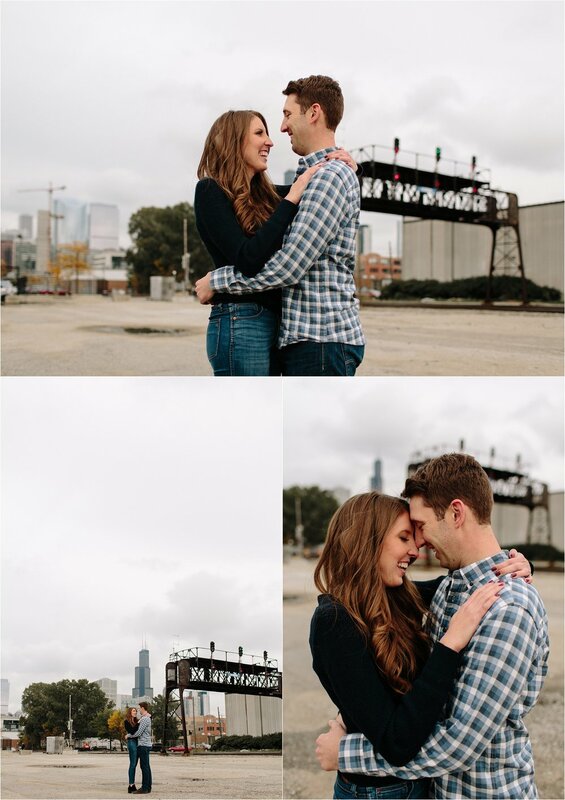 Get this - in their high school yearbook, their photos were diagonal to each other! 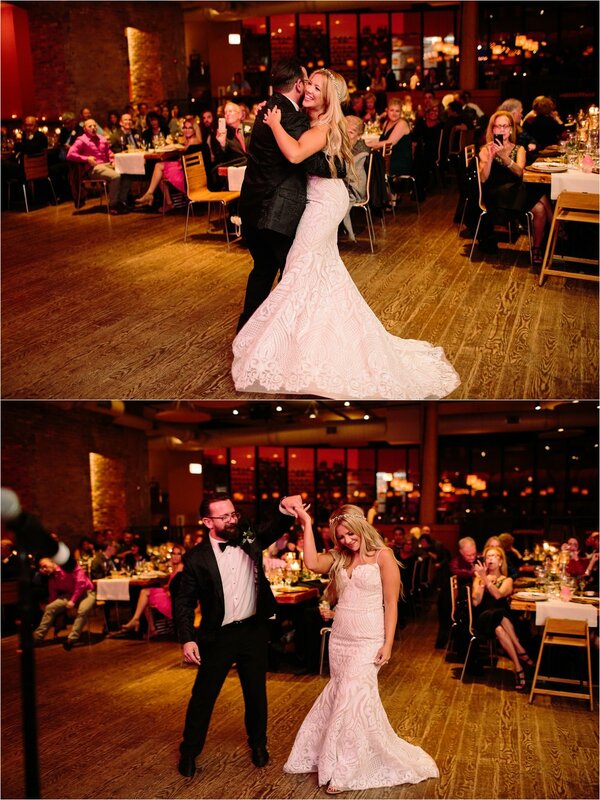 Flash forward some years later, Lacey and Tyler met at a club and their story together began. 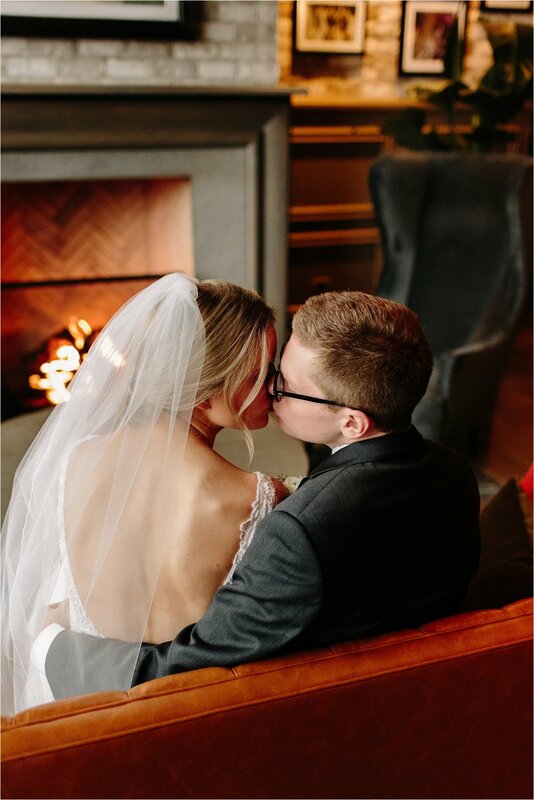 After dating for a little over five years, Tyler asked Lacey to marry him and I had the great honor of capturing their wedding day! 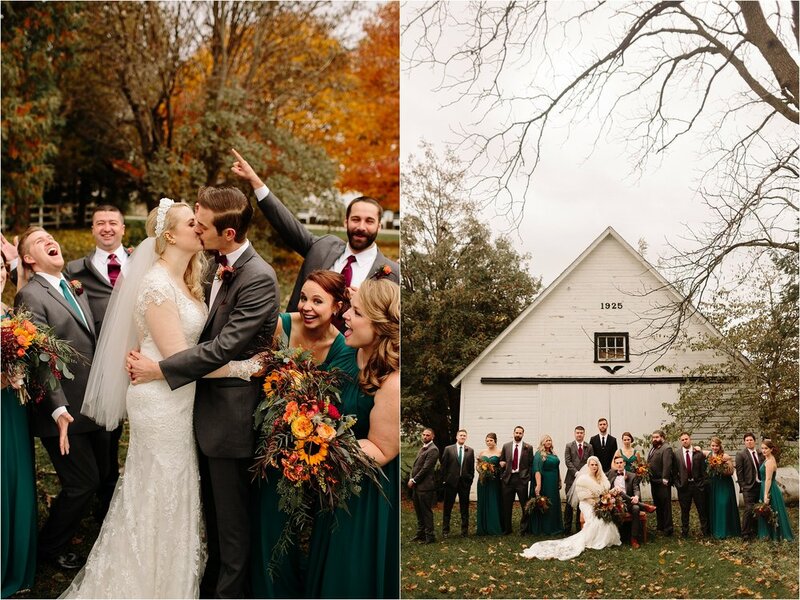 They both have a love of Autumn and the outdoors, so Northfork Farm in Oswego, IL was the perfect fit for them. 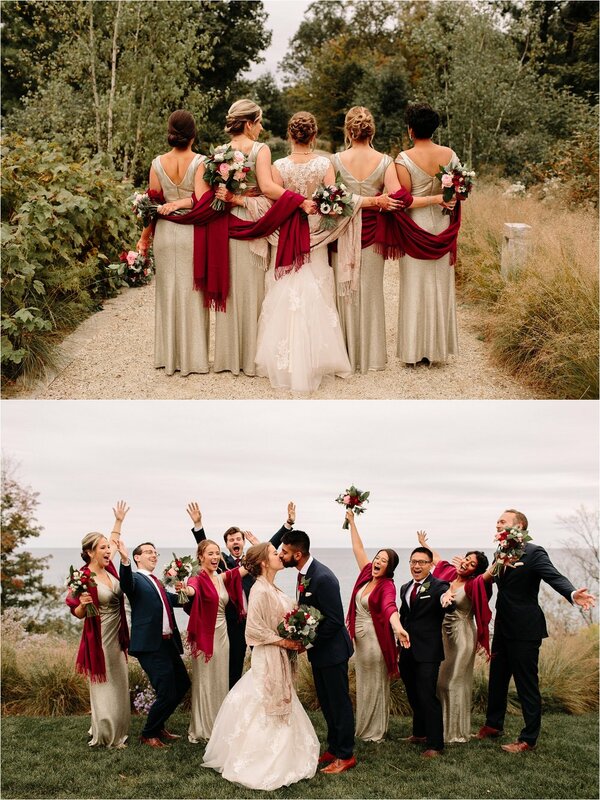 PSA: If you’re looking for some FALL WEDDING INSPO, go no further. 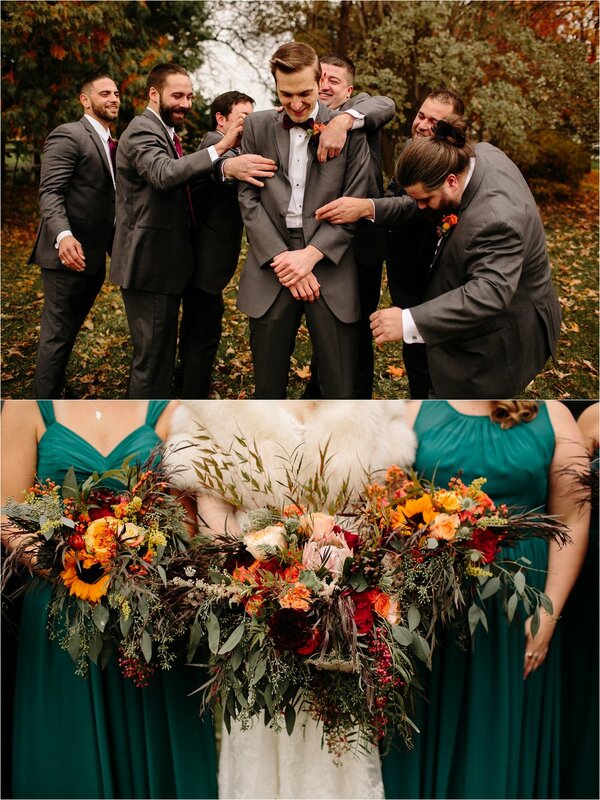 You’re about to see a Fall wedding done right. 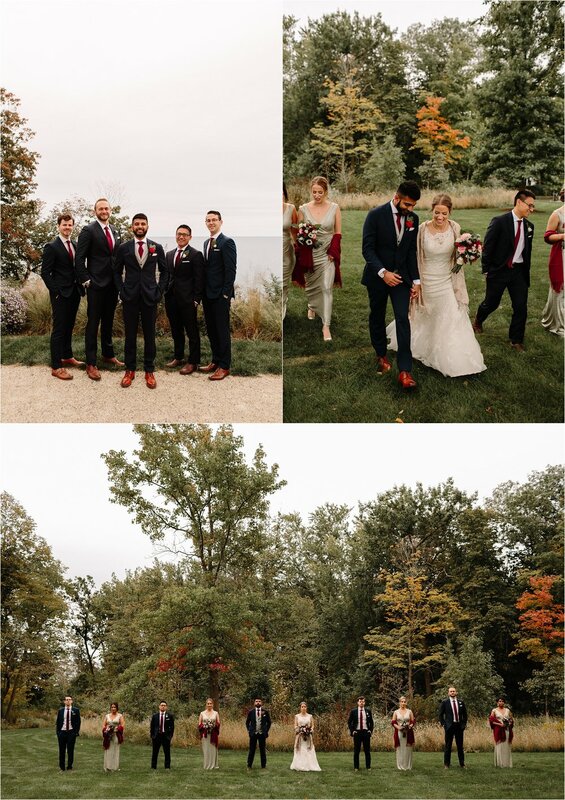 The beautiful Fall colored trees, the bride’s long-sleeve lace gown, and the Fall themed decor seen throughout the entire day all blended together to create the most perfect Fall wedding. 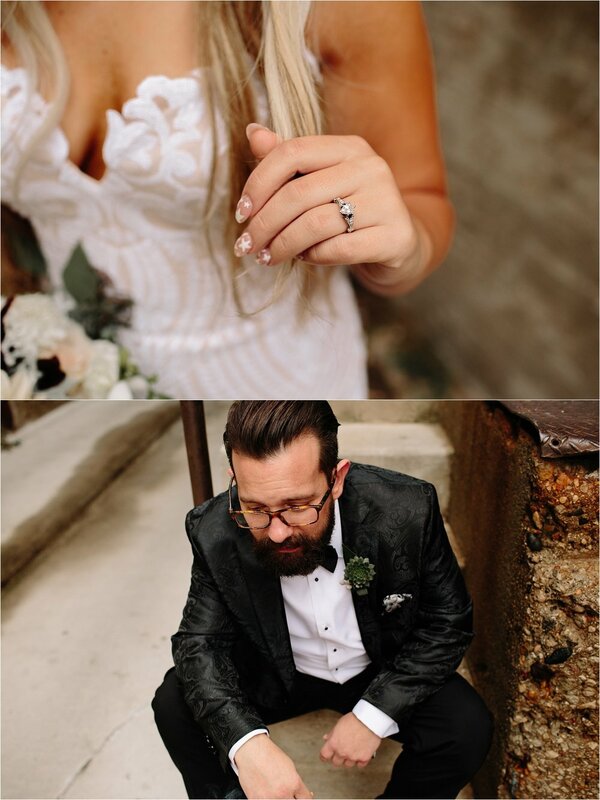 Gosh, I haven’t even mentioned how amazing Lacey and Tyler were to work with. 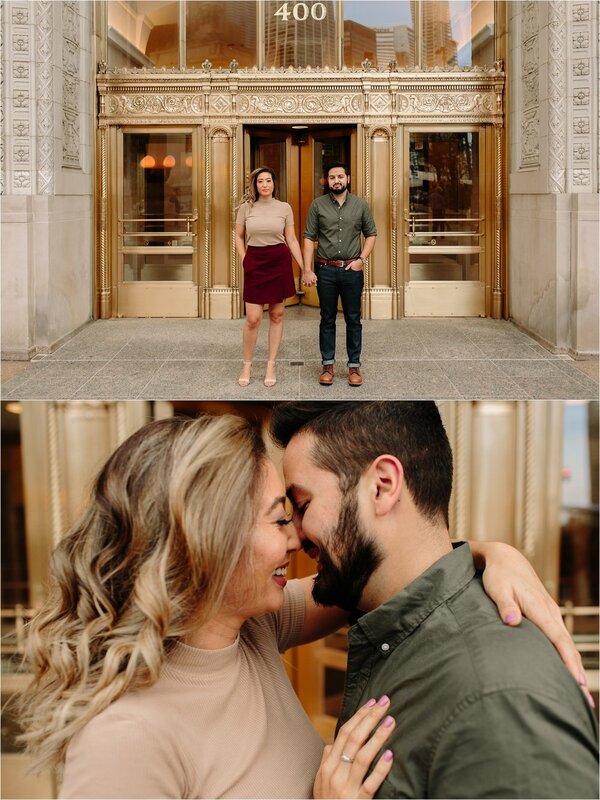 I shot their engagement session last winter; you can view that here! 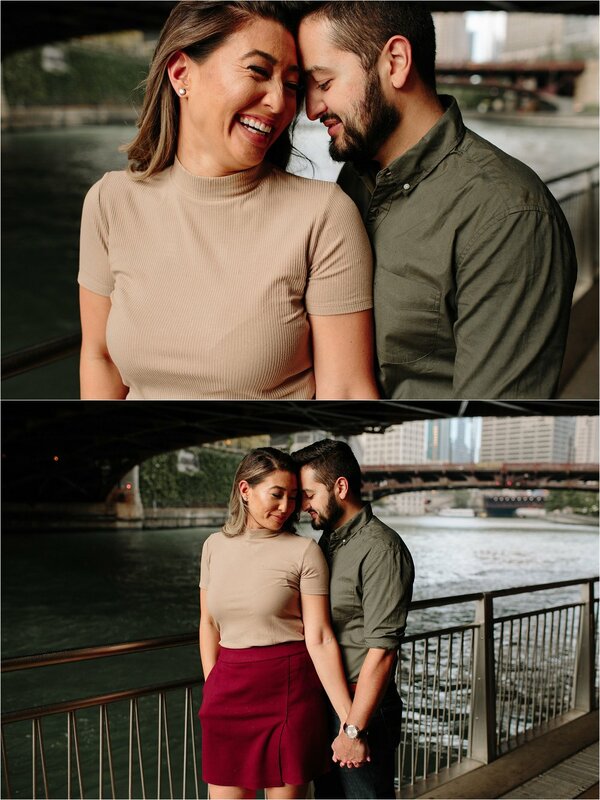 Their engagement session was my first session back after maternity leave and they surely reminded me of why I love what I do. 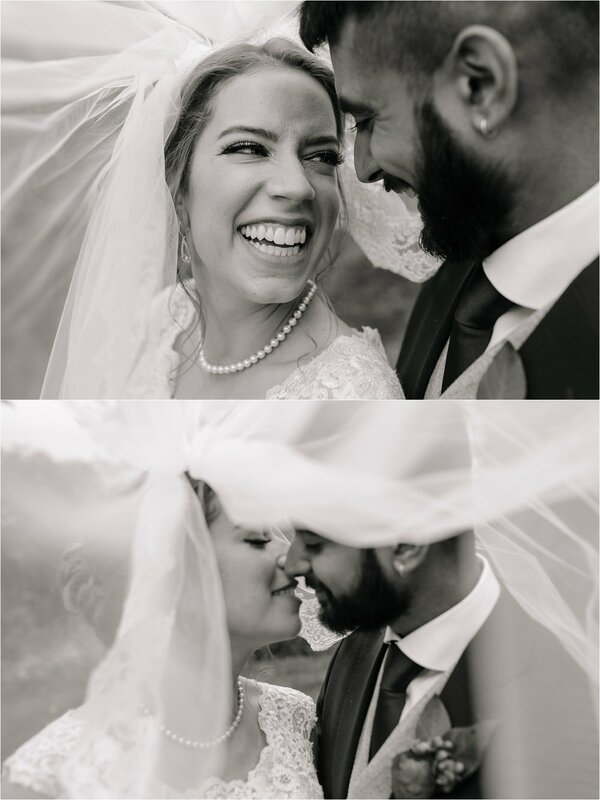 Their love for each is so easy and effortless. 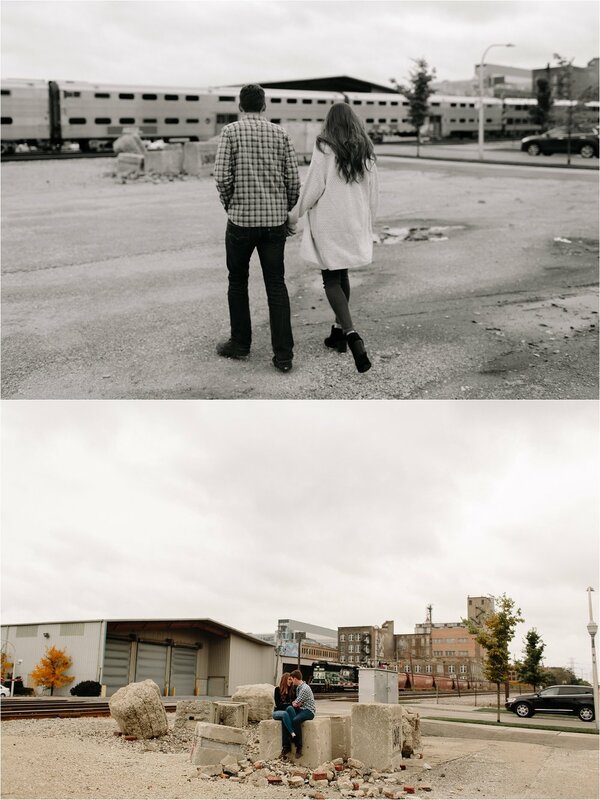 I don’t know how else to describe it, but when they are together there is this sense of fullness, as if they complete one another. 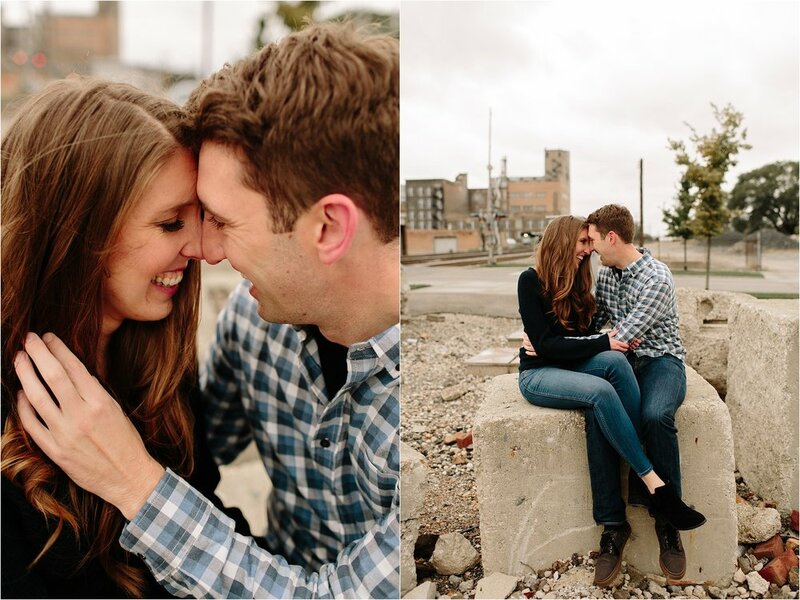 I know that may sound cheesy but I’m just keepin’ real… I’m sure you’ll understand once you take a look their photos. 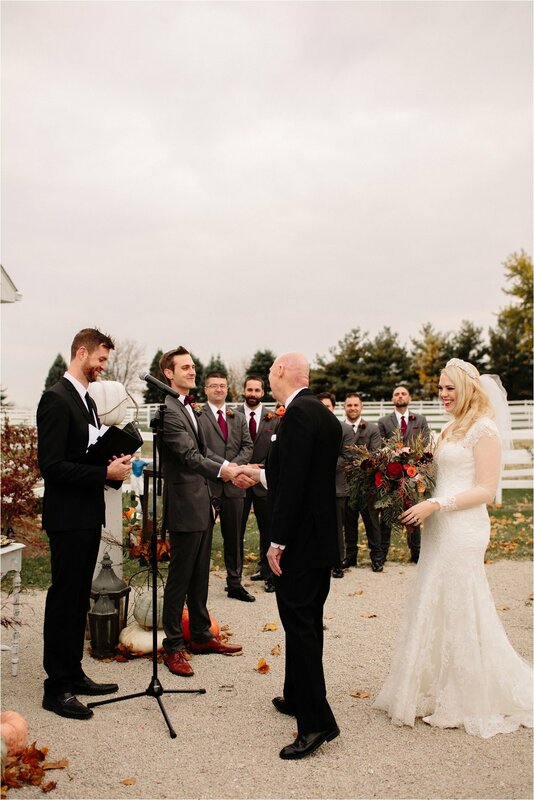 Now, cozy on up with some coffee and a fuzzy blanket to fully enjoy looking back on this incredible day. 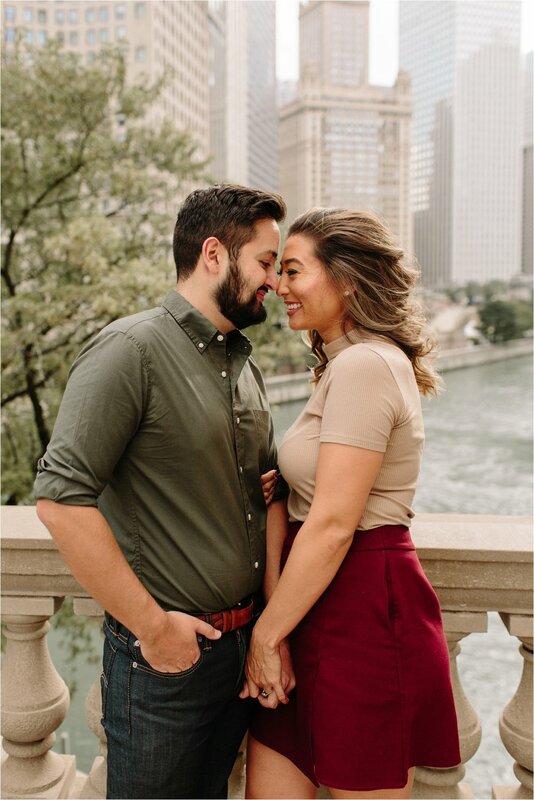 Kristin and Pavel met over 6 years ago while in grad school.. they both were obtaining their PhDs! 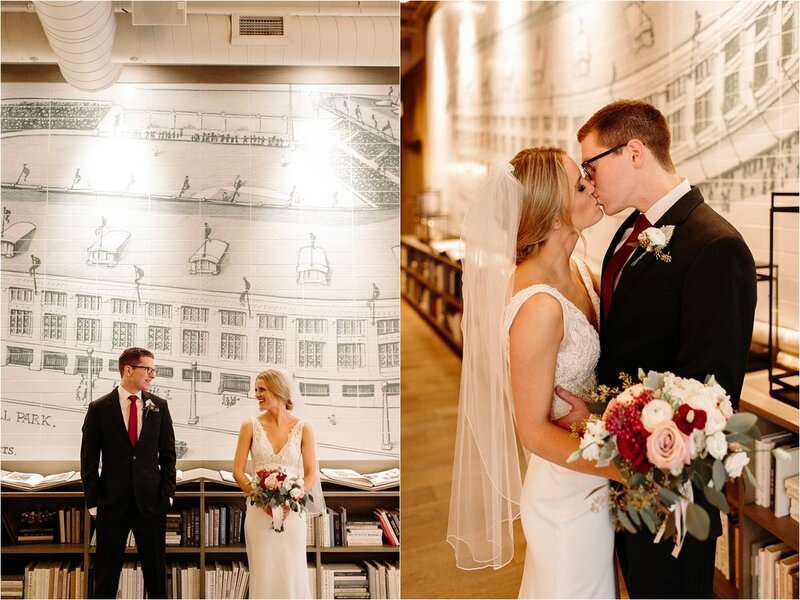 Since their schooling played a huge role in their relationship, celebrating their love in a library seemed like the perfect fit for them. 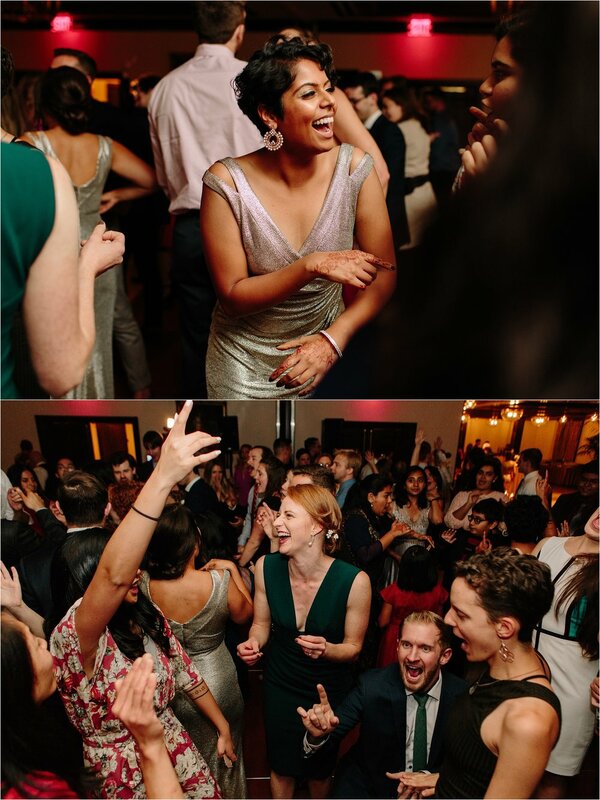 Kristin and Pavel exchanged their vows in Washington Square Park and then walked across the street to dance the night away with their close family and friends at Newberry Library. 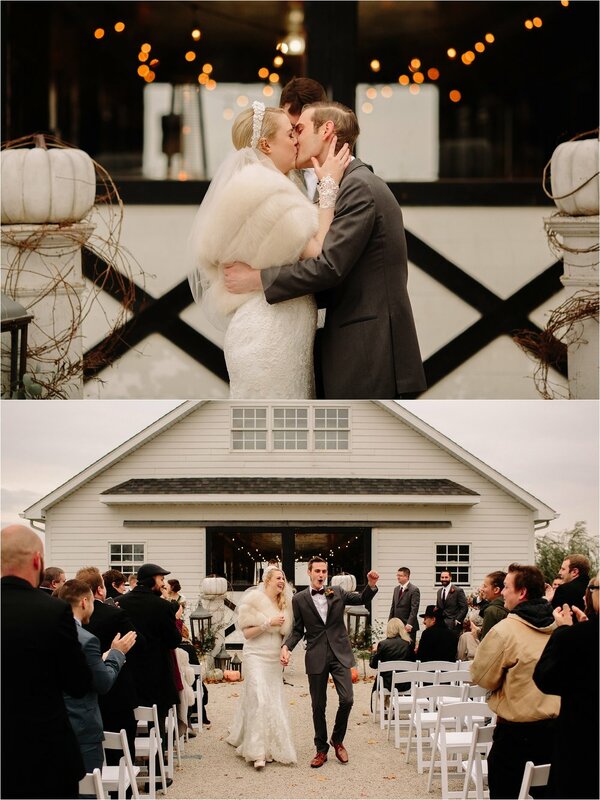 This day was packed to the brim with so many gorgeous details. 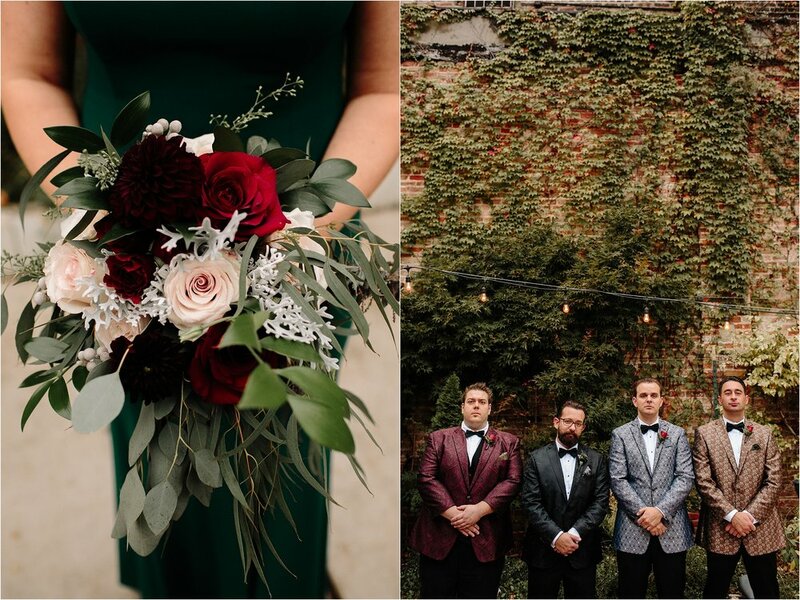 Abby of Heirloom Event Co providing thee most gorgeous blooms that had subtle nods to Beauty & the Beast. 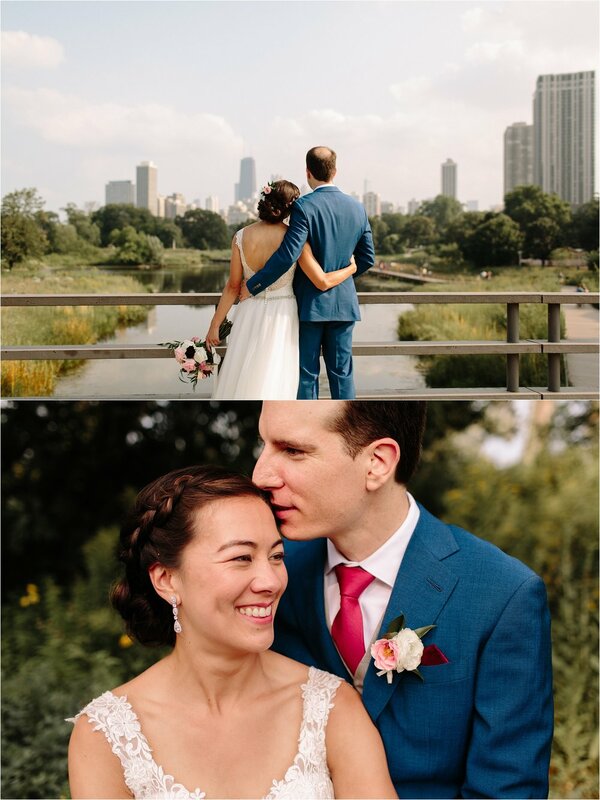 Glamour Closet provided such a stunning gown for Kristin, and Knot Standard made such a unique and sharp blue suit for Pavel… This is just to name a few of the amazing details - just wait until you scroll through this day and see allllll the goodness. 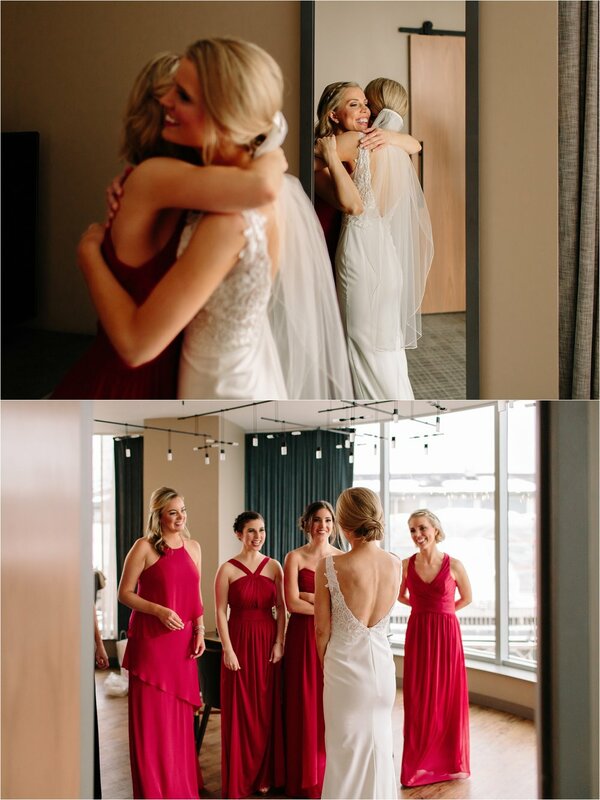 And, of course, this day wouldn’t have been so smooth and flawless without the incredible planning done by Katherine of Clover Events; she is a true gem. 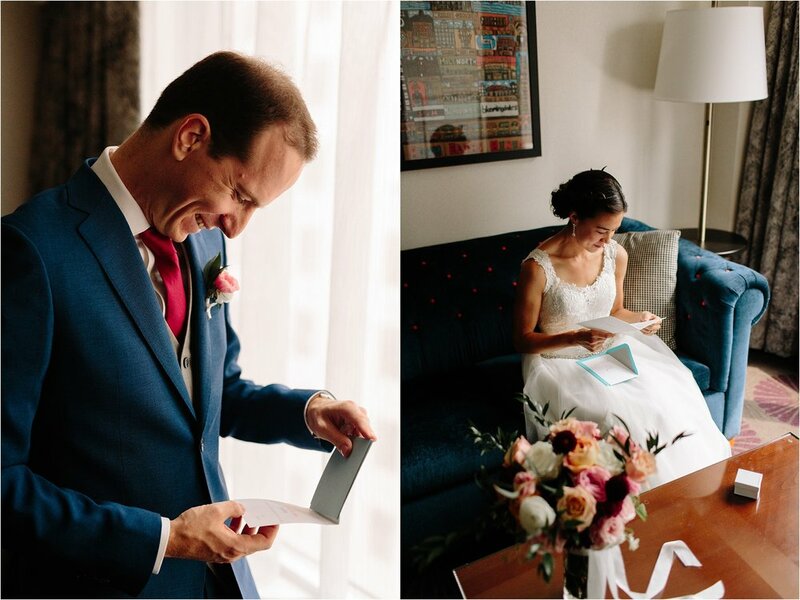 Now, sit back and see the giddy-adorable love of Kristin and Pavel on their wonderful wedding day! 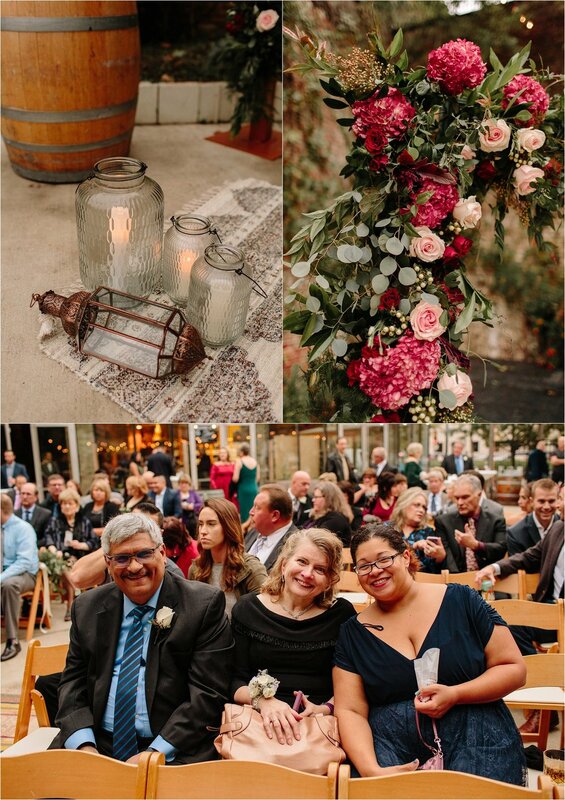 Florals - Heirloom Event Co.
Nina and Michael have been together for 10 years. 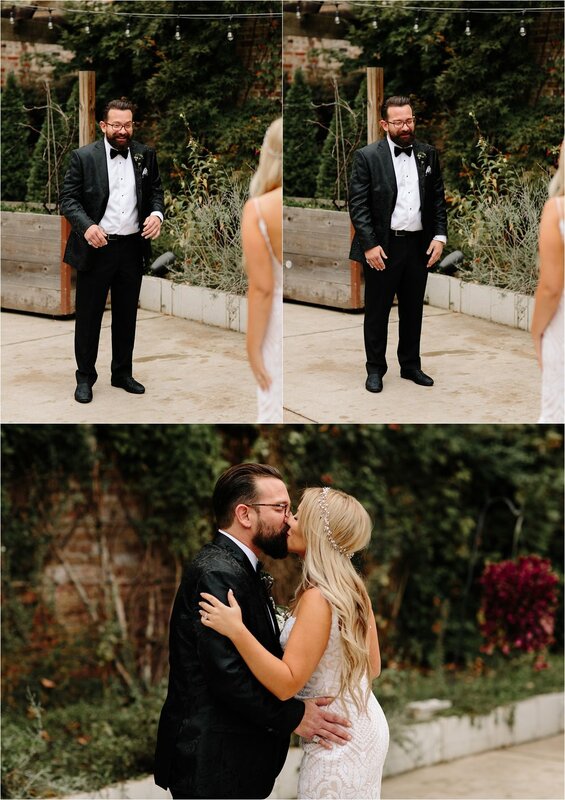 So, when it came time for these two to tie the knot last August, you can imagine all the excitement that was shared between the couple and all their friends and family. 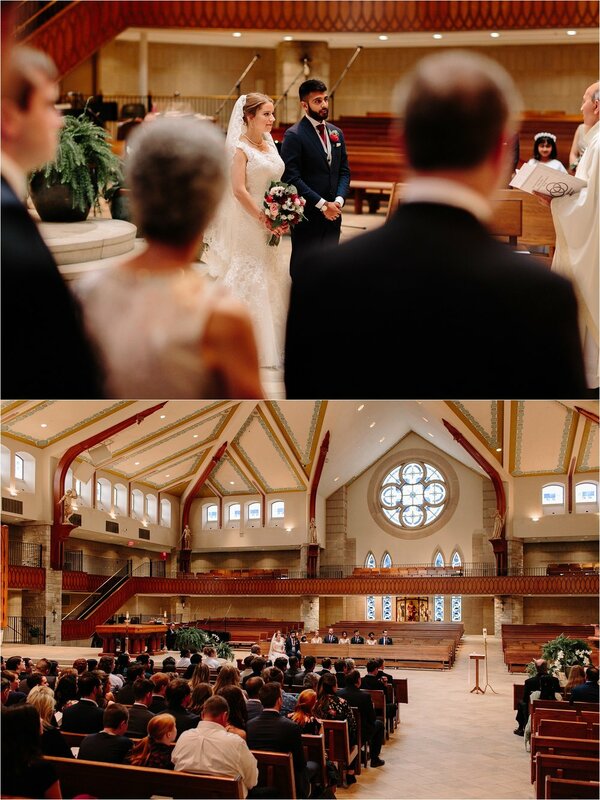 This day was such a highly anticipated day for all and it was such a joy to witness Nina and Michael dedicate their lives to one another. 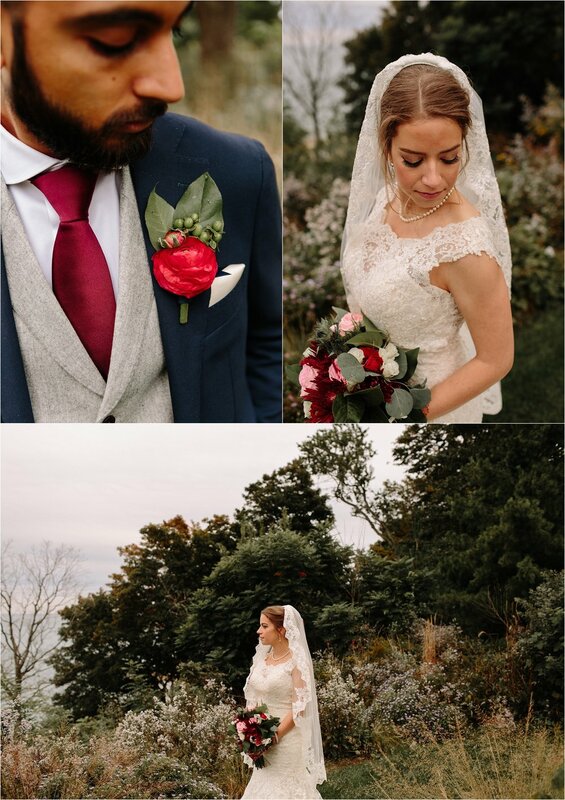 Nina and Michael have a great love for the outdoors and they wanted to bring nature aspects as much as possible into their day. 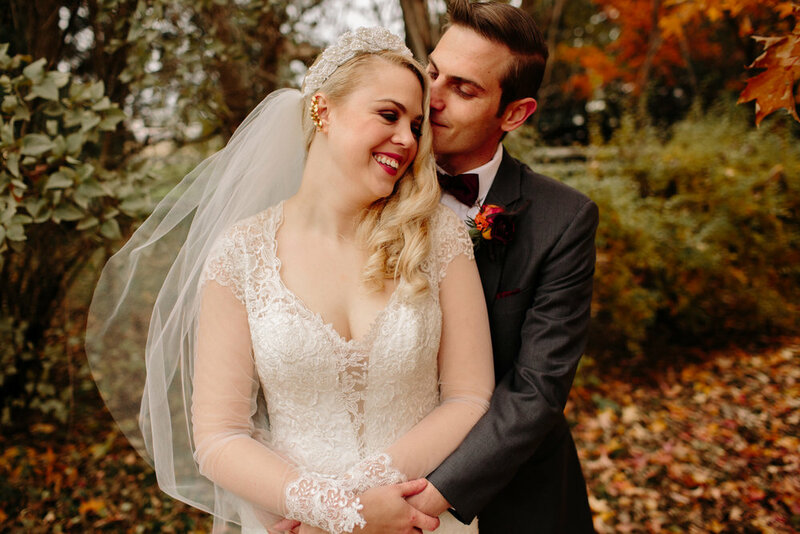 Nina described her vision as a “romantic starlight in the garden feel.” With all their lushes blooms, gorgeous bridal headpiece, twinkling lights, and infectious love for one another, I believe their day was just that.